Fall Carpet Cleaning Tip: Our Techs offer Certified Expertise and Experience! When you are hiring a carpet cleaning service, you're hiring more than just a company and their reputation - you're choosing who will visit your home and perform the work - your carpet cleaning technicians! 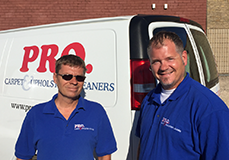 At PRO, we realize that our technicians make each individual carpet cleaning order the best possible experience for our customers. Being a local company approaching 30 years serving the Minneapolis - Saint Paul area, we see the value in our technicians' IICRC certifications and their individual expertise and experience. In this tip, we're doing a little in the way of introductions, so you can see why we value our techs so highly! I've been with Pro Carpet for the past 10 years but I've been in the carpet and upholstery cleaning business for over 30 years. One thing I like about my job is meeting new people every day. I had a customer once say "It's not like having a workman in my home; it's like having a friend." That meant a lot to me knowing customers feel comfortable with me whether they are home or not. Being a certified technician, I think makes people feel that not only are they getting quality work done, but they feel good about having someone in their home that'll get it done right. To see someone’s reaction when I'm finished cleaning is very rewarding to me and that's why I enjoy doing what I do! I enjoy going to different places meeting new people and seeing the different cultures and how they live. I take pride in knowing I'm helping others with their cleaning needs. Saving them money when I get spots out of carpet or upholstery they thought they would have to replace. 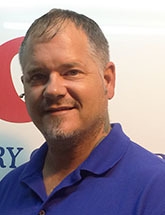 I've been in the restoration business for 16 years and I have many certifications, including carpet and upholstery, fire, water, mold and lead. Thanks for reading! 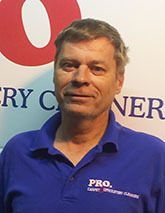 I'm Dan, owner of Professional Carpet & Upholstery Cleaners, Inc. We are approaching our 30th year in business, serving the Twin Cities metro area. We're proud of our great service record, such as great Yelp reviews, and our consistent A+ BBB rating. We feel that our excellent ratings truly reflect our desire for service excellence. When you call, I'll listen to your needs and wishes for your carpet cleaning, whether home or business. Dave and Keith will also listen on their arrival, to whether there is a potential chemical allergy, desire for less chemical use, or just an overall wish to better influence the environment with a green cleaning choice. We know there is a real comfort in having someone trusted do the cleaning work for you. You really can count on us to listen, assist you in making sound choices for your carpet cleaning, and follow through with great work! Thank you for taking the time to read this tip and feel free to call me any time with your carpet cleaning questions! 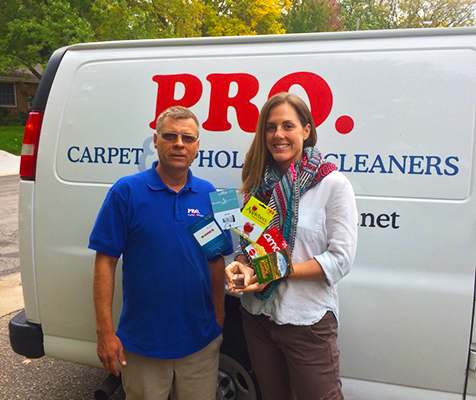 BREAKING NEWS: Our Gift Card Drawing Winner is announced: Thank you Brooke Slama for choosing PRO!! *Not valid with other offers, subject to Gift Card Drawing rules and gift card rules and values. Eligibility based on scheduling and completion of order, drawing to be held on October 3, announced and winner contacted on or after October 3, 2016.